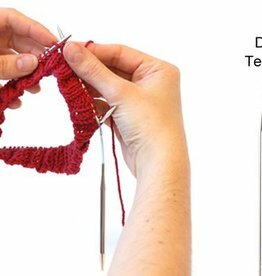 Cast-on to an effortless new method of knitting socks, cuffs, hats, and many of other projects which are worked in the round, with the addi FlexiFlips Bamboo. 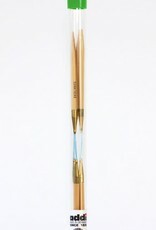 These specially designed 8" circulars (3.5" tips with 1" cord) rest comfortably in the hand, and act as flexible double pointed needles. Easy to use, stitches are simply distributed over two needles, and then knit with the third - resulting in only two needle changes per row. Please note that the Bamboo FlexiFlips only have the standard tips and do not feature the dual-tip design of the metal FlexiFlips. Each set includes three addi® FlexiFlips of the same size, and are packaged in a handy reusable storage tube. 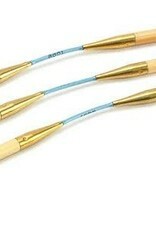 To see the needles in use, watch this video!